Rudraksha originated from the divine Sanskrit words. Rudra is a combination of rudra+aksha, symbolizing Rudra and Aksha, or the teardrops of Bhagwan Shiv. Vedic history has it that these teardrops fell on earth in the form of the Rudraksha plant. Thus began the fame of the Rudraksha beads (रुद्राक्ष मनका). Rudrakshas represent Bhagwan Shiv. To be blessed with his divine powers, a wearer should not only wear the Rudraksha but also recite the following mantra 108 times daily: Om Namah Shivay. 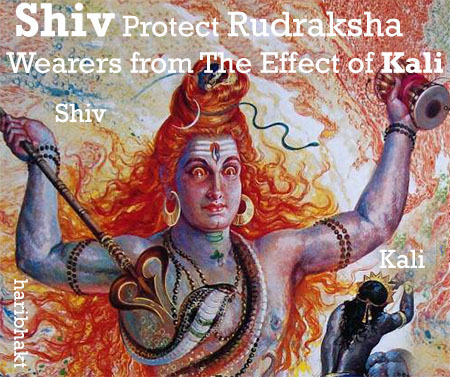 Because of its association with Shiv, Rudraksha is said to be a favorite of the Bhagwan. Do not discard this as a legend, even modern scientific research has proved the power of these beads. It says rudraksha beads store electromagnetic properties which influence human physiology and psychology. Scientists did research and found that Rudraksh has immense power to cure mental state of a person and affect his personality in positive manner. There are norms which need to be followed before wearing Rudraksha as a mala or as a divine blessing on body. Rudraksha is the object of veneration and also the source to reach the higher self. Rudraksha establishes the link between the humans and Vedic gods. Each Rudraksha has its own properties. Rudraksha beads are worn to get beneficial results and is helpful in curing diseases like epilepsy, hypertension, blood pressure, controlling stress, whooping cough and wounds. Wearing of Rudraksha beads not only pleases Bhagwan Shiv but also helps one obtain the blessings of Bhagwan Vishnu, Durga, Ganesh and the Bhagwan of the Navagrahas or the nine planets. 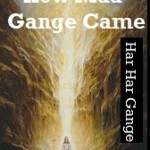 First of all, Sage Shaunak expressed his desire to Sutji about knowing the means, which could help a man in this era of Kali to attainment Bhagwan Shiv, by cleansing all the impurities of his mind and rectifying his inherent demonic tendencies. Sutji then described about Shiv Mahapuran – the supreme of all the puranas, which was narrated by Bhagwan Shiv himself and which was later on retold by Sage Vyas with the permission of Maharshi Sanatkumar, for the benediction of common man. Sutji said, “By understanding the mysteries of Shivmahapuran and singing its praises, a man attains greater virtues than that which could be attained by being charitable or by the performance of all the ‘yagyas’. Contemplating on the subject matters of Shivmahapuran give auspicious fruits just like a ‘Kalpa-taru’ (A divine tree which fulfills all the wishes). The 25th Chapter of Vidyeshwar Samhita describe about the glory of Rudraksha – The Holy Beads. Hey Shonak ! You possess great intellect and wisdom. I am going to describe in brief the glory of Rudraksha, which is a divine form of Shiv. This Rudraksha is closest to Shiv’s heart. It is extremely sacred. It is said that by the virtue, touch and worshipping of Rudraksha brings about destruction of all evils. 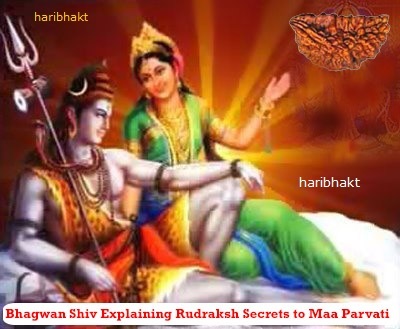 Firstly, Bhagwan Shiv’s desire for the benefit of mankind, he described the glory of Rudraksha to Devi Parvati. Hey Maheshani ! Listen to the power and glory of Rudraksha. Because of your bhakti, I say this for the welfare and benefit of devotees. Hey Maheshani ! Long ago, while practicing self-restraint and meditation for thousands of years my mind was agitated. Therefore Hey Parmenshani ! For the preservation of entire universe I closed my eyes tightly. As a result a few drops of water fell down from my eyelids. Trees were born from these tears (on earth), which were named as “Rudraksha” trees. To oblige the devotees, these Rudraksha trees became inanimate. On account of the devotees of Vishnu and the four Varnas these Rudraksha tress originated in ‘Gaurdesh’. 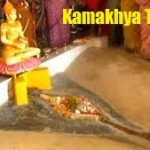 These trees were grown forcefully to eradicate the evil groups at Shiv’s favorite places – Mathura, Ayodhya, Lanka, Malaya, Kashi, and ten other bhubhag (now countries). 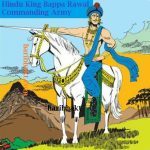 The Brahmins, Kshatriya, Vaishya and Shudras have originated be many orders. Rudraksha found on earth also have the above four Varna. Bhadraksha is also a species of Rudraksha. Intellectuals have differentiated Rudraksha into four groups according to their color, namely, – White, red, yellow and black. Humans should wear Rudraksha according to their Varna. Those men who desire wealth, passion and salvation (moksha) should wear the Rudraksha in the order of their of numbers. 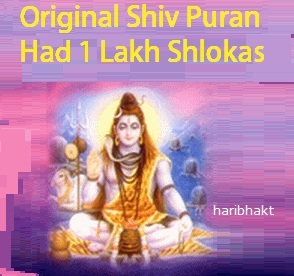 Specially, the devotees of Shiv should wear Rudraksha to get the blessings of Shiv. Rudraksha the size of an Ambla is of best quality. Rudraksha the size of a fruit of jujube tree is considered to be of moderate quality. Rudraksha the size of a gram seed is of inferior quality. Hey Parvati !, I am telling you for the benefit of devotees with love, hear carefully the supreme knowledge of its process which is beyond the range of perception. Hey Maheshwari ! Rudraksha the size of a fruit of jujube tree is enough to bring about happiness and prosperity in the world. Rudraksha the size of a fruit of an Ambla can destroy all kinds of evil and viscous effects. Rudraksha the size of a wheat grain is provider of all kind of success. 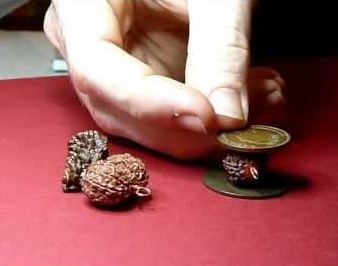 The smaller the size of a Rudraksha, more are its benefits, as said by the saints. Rudraksha is worn for the purpose of destroying all sins. Wearing of Rudraksha is most important for the accomplishment and fulfillment of ones purpose. Hey Parmeshwari !, in this world the Rudraksha Rosary is incomparable. No other Rosary is as divine and beneficial as the Rudraksha Rosary. Plain, smooth, tough, big and thorny Rudraksha are considered beneficial. Rudraksha bestowed with the property of providing accomplishment of all desires and moksha (salvation). Rudraksha, which are bitten by insects, without thorns, cracked and not round are not acceptable. Rudraksha with a natural hole is of best quality. Rudraksha with a hole made by human efforts is of medium quality. Wearing of Rudraksha destroys all sins. A person who wears 1100 Rudraksha on his body becomes equivalent to the Bhagwan Rudra (Shiv). The benefit of wearing these 1100 Rudraksha cannot be described even in hundred years. 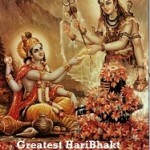 Any devotee, who wears 550 Rudraksha in a correct manner in the form of a crown, is also benefited. Making three folds of 360 Rudraksha and wearing it as a ‘Yajno Pavita’ worn over the left shoulder and hanging down under the right), with devotion will also give immense results. Hey Maheshwari ! Three Rudraksha should be worn on the ‘Shikhas’ (the top knot of the Hindus). Six Rudraksha should be worn in each ear. 101 Rudraksha around the neck, 11 in each arms, 11 in each wrist and Karpur Dwar should be worn. Three Rudraksha as ‘Yajno Pavita’ and five around the hips should be worn by the humans devoted towards Bhagwan Shiv. Hey Parmeshwari ! One who wears Rudraksha according to the following numbers becomes ‘Divya’ and laudable. In this manner he gains resemblance to Mahesh. Any one who watches a person sitting on a mat, wearing Rudraksha and he who pronounces the name of Shiv in a monotone gets released from all evils. This is the procedure for wearing 1100 Rudraksha. In the absence of this procedure, I will tell you some other ways of wearing Rudraksha, which are beneficial. One in Shikha, 30 on the fore head, 50 around the throat, 16 each on both the arms is the number of Rudraksha, which should be worn. 12 on each of the wrist, 5 on the shoulder and 108 in the form of ‘Yajno Pavita’ are the number of Rudraksha beads to be worn. One who is determined and wears 1000 Rudraksha in this way becomes equivalent to Rudra and all Gods bow in front of him. Whoever wears one in the Sikhs, 40 on the forehead, 32 on the throat, 108 on the heart, then 6 each in both the ears, 16 each on the arms, 12 or 24 on the hands, Rudraksha in a holy way becomes a devotee of Shiv and is worshipped and adored by everyone like Shiv, whenever they are watched by others. (At that moment person wearing Rudraksha becomes adorable). 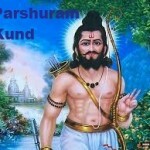 The use of “Ishan Mantra” for the forehead, “Tatpurusha Mantra” for the ears, and “Aghor Mantra” for the throat and heart is recommended for wearing Rudraksha. Wise man should wear Rudraksha on hands chanting Aghor & Seed Mantra and on stomach 15 Rudraksha chanting Vaamdev Mantra. On the other organs of the body 3, 5 or 7 rosaries can be worn chanting “Panch Brahma Mantra” or by chanting “Seed Mantra”. The use of alcohol, non-veg, garlic, onion etc is prohibited for the person who wears Rudraksha. Hey Uma ! According to the Varna, Brahmins should wear white, Kshatriya should wear red, Vaishya should wear yellow and Shudras should wear black Rudraksha. People of all Varna can wear Rudraksha. Wearing a Rudraksha takes a person closer to God whereas relinquishing it takes a man to hell. Rudraksha smaller than the size of an Ambla, broken, without a hole and eaten by insects should not be worn by people who are taking part in auspicious deed. Rudraksha the size of gram seed is praised. Rudraksha is comparable to a Shivling. It is both exquisite and praise worthy, as is said by Shiv. Soot ji further explained: Brahmins in all Ashrams (there are 4 in all), all the Varnas, male and female and Shudras can wear Rudraksha as ordered by Shiv. It is also instructed by Shiv that a devotee has abandoned the world should wear a Rudraksha by saying ‘OM’. Wearing a Rudraksha during the day destroys all evils done during the darkness of night. Wearing a Rudraksha during night destroys all evils of the morning, afternoon and evening. Tripundadhari (three horizontal lines made by the ashes in the forehead by the followers of Shiv), an ascetic, and a person wearing a Rudraksha never go to hell. A Rishi who wears one Rudraksha on the head together with a ‘Tripunda’ and japs the “Panchakshara Mantra” should be worshipped. A person who does not have Rudraksha in his organs, does not have a “Tripunda” on his forehead and does not recite the “Panchakshara Mantra” from his mouth should be taken to hell. A person with Bhasma (Tripund) and Rudraksha should never be taken to hell, as a compensation of his deeds. “Yamraj” (The God of Yamas) gave this order to his subordinates. Hearing this they went into a shocked silence. Therefore, Hey Mahadevi ! Rudraksha destroys all evils. Even if an evil person wears a Rudraksha he is purified. He becomes equal to Shiv and becomes dear to be. A person who wears a Rudraksha on hands, arms and forehead becomes inviolable and he roams on this earth as an epithet of Shiv. Saints and Demons worship him. 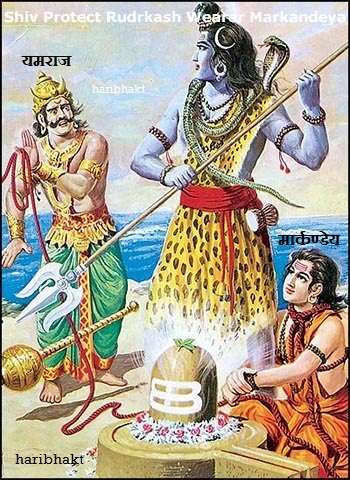 For them he becomes an evil destroyer and equivalent to Shiv. Those who wear Rudraksha without meditation and knowledge are also freed from all evils and attain ‘Moksha’. Praying with a Rudraksha Rosary gives multifold benefits. Wearing Rudraksha gives 10 times more benefit to the humans. Hey Devi !, as long as Rudraksha is on the body of any living person, till then he never dies prematurely. Prepared with a ‘Tripunda’ and shining with a Rudraksha (not only does a Rudraksha gives spirituality and fulfillment, it also increases the beauty of the body. Rudraksha is also an ornament). 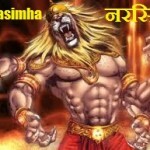 Whomsoever japs the “Mahamritunjaya Mantra” by his virtue we gets the fruits of the virtue of Shiv. Rudraksha is liked by the 5 Gods (Shiv, Parvati, Ganesh, Sun and Vishnu). It is also dear to all the other Bhagwans. Hey beloved ! All mantra japs are possible on a Rudraksha Rosary. This has been ordered for the devotees. There is no doubt that even the devotees of Vishnu should wear Rudraksha. For the devotees of Shiv Rudraksha is always wearable. Rudraksha are of different types. I will give a description of their different types. Hey Parvati ! Listen to the nature of the providers of wealth, passion and salvation. One faced Rudraksha is similar to Shiv and provides wealth and salvation. Its virtue destroys the evil of the murder of a Brahmin. Where this Rudraksha is worshipped, wealth never goes away. All kinds of turmoil are pacified and all desires are fulfilled. Two-faced Rudraksha is Bhagwan Vishnu himself. It awards all desires and profits. This Rudraksha especially destroys evils incurred from the murder of a cow. Three-faced Rudraksha always awards all kinds of resources. Due to its effects all types of attainment are acquired. Four-faced Rudraksha is Bhagwan Brahma himself. It destroys the ill effects obtained by killing a man. The virtue and touch of it awards all the four human pursuits, namely; virtue, wealth, sensual enjoyment and salvation immediately. Five-faced Rudraksha is Shiv himself. It is also known as the fire that is to destroy the world (Kalagni). 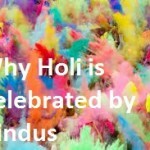 It provides all kinds of wealth and passion together with fulfillment of all desires. The five- Faced Rudraksha saves from the sins incurred from eating and visiting placed which are restricted. Six-faced Rudraksha is the form of Kartikeya. On wearing a six-faced Rudraksha on the right arm, destroys all sins incurred from killing of a Brahmin. Hey Maheshani ! Seven-face Rudraksha is Kamdeva (the Bhagwan of God) himself. On wearing this rudraksha even a poor person becomes like God. Eight-faced Rudraksha is Shiv in the form of “Bhairava”. 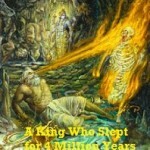 On wearing it a person lives his entire life and after death attain the form of Shiv. Nine-faced Rudraksha is a form of “Bhairava” and “Kapilmuni”. It is controlled by Devi Durga who herself is a form of nine Goddesses. Wearing a nine faced Rudraksha by those who are devoted, on the right hand, becomes supreme and equivalent to me. There is no doubt in this statement. Hey Maheshani ! Ten- faced Rudraksha is equivalent to “Bhagwan Vishnu”. One who wears this Rudraksha attains all his desires. A wearer of eleven-faced Rudraksha becomes equivalent to “Bhagwan Shiv” in the form of ‘Rudra’ and becomes all round victorious. One who wears twelve-faced Rudraksha on the hair becomes equivalent to the 12 forms of ‘Sun’. Thirteen-faced Rudraksha is equivalent to “Vishwadeva”. On wearing this Rudraksha the wearer attains all kinds of desires, good luck and blessings. Fourteen- faced Rudraksha is equivalent to Supreme Shiv. On religiously wearing this Rudraksha on the head the wearer gets rid of all sins. Hey, the daughter of king of mountains ! 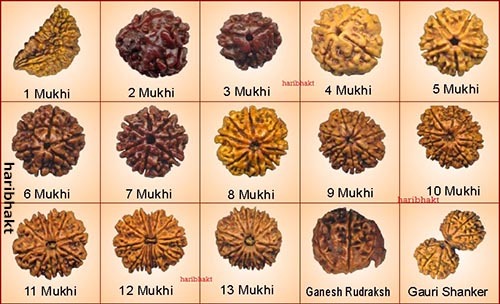 I have described all these Rudraksha on the basis of the differences of their faces. Now listen with love the mantras of all these Rudraksha in their order. On wearing these Rudraksha with devotion and faith, after anointing them with the following mantras all desires and wealth are attained. A person who wears a Rudraksha without anointing it with mantra, goes to hell for 1000 yugas or 4,320,000,000 years. 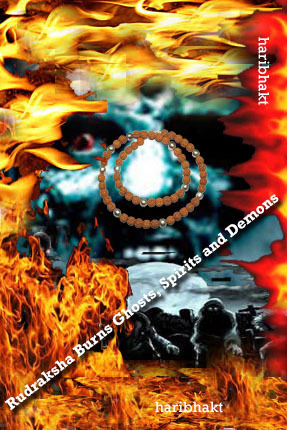 On seeing a person wearing a Rudraksha Rosary all ghosts, spirits, demons, witches, ‘Shakini’ (female demons, also few of them attendants of Durga and Shiv) and any other hostile elements and all effects of black magic are removed. Hey Parvati ! On seeing a person wearing a Rudraksha Rosary the five Gods namely, Shiv, Vishnu, Durga, Ganesh and Sun, and all other Gods are pleased. Hey Maheshwari! On understanding the glory of Rudraksha it should be worn in an accurate manner by the use of mantras and with devotion for the cause of increasing devotion. In this manner Bhagwan Shiv discussed the glory of Rudraksha and ashes (Bhasma) in front of Parvati, which provides accomplishment of all desires and salvation. One who wear Rudraksha and uses Bhasma becomes very dear to Bhagwan Shiv. There is no doubt that the effect of just wearing them fulfills all desires and provides salvation. 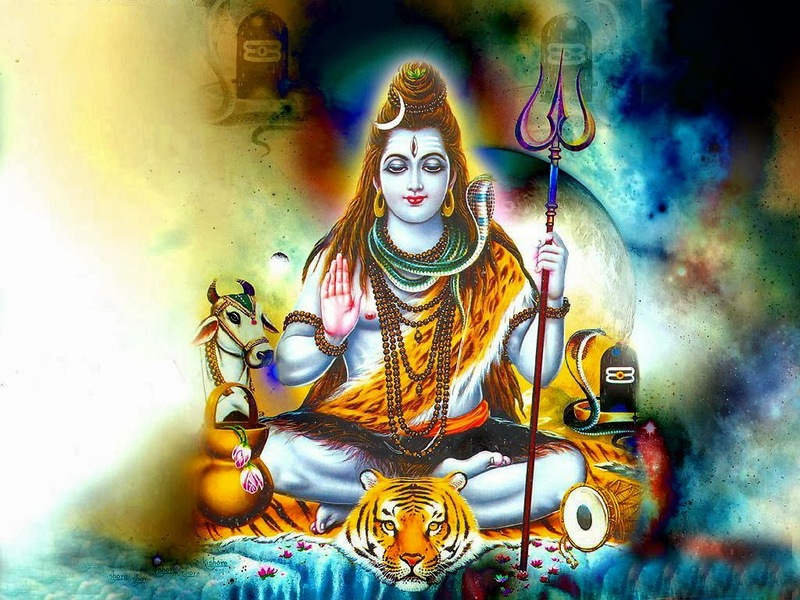 Rudraksha and Bhasma users are called devotees of Shiv and those who chant “Panchakshar Manta” on Rudraksha live close to Bhagwan Shiv and become complete. Worshipping without the use of Bhasma, Tripund Rudraksha Rosary does not provide the desired results by Bhagwan Shiv. Hey Munivar ! Now I have replied to your queries. By the glory of Bhasma and Rudraksha all desires are attained. Those who listen to this glory of Rudraksha everyday and show their devotion and affection towards Rudraksha and Bhasma, they attain all desires. They are blessed with all kinds of comforts and luxury with sons and grandson in this Loka. 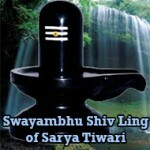 They attain Moksha (salvation) in the company of Bhagwan Shiv and become very dear to Bhagwan Shiv. Hey Sages ! This “Vidhyeshwar Samhita” is told by me to all of you by the order of Bhagwan Shiv. It always provides all Siddhies and Salvation. Most Important: If you are thinking of wearing Rudraksha then keep yourself clean and pious. Use proper mantras associated with Rudraksha. Recite them properly. Follow all the directives in correct manner. Or else, the same powerful Rudraksha might become a tool of self-destruction. Before wearing Rudraksha mala, it is very important to energize it with mantra. Without second level of purification and energization, no one can wear it. Respect Rudraksh as blessing of Bhagwan. You can get the Rudraksha energized by the Pandit. Keep the mala in a plate in front of you and sit or stand facing east. Light cow ghee or oil lamp. Wash the beads with water or lightly sprinkle water on them with a leaf. If you have Ganga Jal to wash and sprinkle then it is best. Chant ॐ नमः शिवाय “Om Namah Shivay” 108 times. Apply chandan, sandal paste on mala. 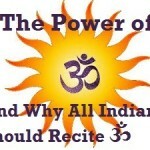 Now chant the Beej mantras stated 27 times each for the mukhis in your mala. Ask blessings from Bhagwan Shiv and start wearing your mala. After this you may chant the beeja mantra of fixed number of times everyday (3 times or 9 times or 11 times or 27 times or through out the day silently in your mind). Respectfully place the Rudraksha on the feet of the Shiva idol before wearing it chanting ॐ नमः शिवाय “Om Namah Shivay”. Use Ganga Jal and Desi Cow Milk (not jarsi or buffalo milk). Wash Rudraksha with unboiled milk and water. Apply sandalwood paste on it. Offer Diya, Incense and flowers (Since the Rudraksh is cleaned, applying sandal paste to it is usually done for beads or malas that are to be placed on the altar for worship. If they are for wearing, then waving or touching a bit of sandal paste or powder to the beads is fine. This is also a form of offering). Chant the specific mantra of the mukhis minimum of 9 times. If you wear it on the day of eclipse, Aries-Sakranti, Libra-Sakranti, Cancer-Sakranti, No-Moon day, full-Moon day or on the Poorna Tithi then Rudraksha will bless you with auspicious results. Always wear Rudraksha in the upper part of body from the navel. You can wear it in the neck, throat, hand or on the forehead or shoulder. You can wear it on your waist on the special occasions. But do not wear it as a ring in your finger. Do not take the Rudraksha to a crematorium because it can reduce positivity of Rudraksha. Maintain your Rudraksha well to keep its positivity. When it becomes dry soak it in oil for sometime. Wear it in gold or silver. You can also wear it in silk thread or wool thread. Mostly, people wear it in the red-colored thread. But, ek-mukhi Rudraksha has to be worn in white thread, Saat-mukhi in black thread and eleven, twelve, thirteen or Gauri-Shankar Rudraksha has to be worn in yellow-colored thread. You should not drink alcohol and eat non-vegetarian food, onion, garlic and drumsticks after wearing a Rudraksha. You should wear it in a positive Muhurta. Sometimes rare Rudraksha beads like GauriShankar Rudraksha or a Trijuti are made by artificially joining two or three Rudraksha with the help of glue etc. In case of doubt, such Rudraksha bead should be placed in boiling water for 20-30 minutes. A sharp discoloration will take place at the joint in case of artificial Rudraksha. But using boiling water to test Rudraksha is not recommended because if they are real, it will have adverse effect on the user who does the test. An unripe but genuine Rudraksha will also float in water. Fake Rudraksha bead made of wood and impregnated with lead will also sink in water. Rare Rudraksha beads like One Mukhi are sometimes made by tampering with higher Mukhi beads. This Rudraksha will also sink. The most reliable test is to cut the Rudraksha bead. One will find the same number of compartments as the number of lines. However, the drawback is that the bead is destroyed. This test is to find whether the beads exhibit properties like inductance, capacitance, conduction of electric current etc. It is a general belief that a Rudraksha bead when placed between two copper coins will rotate slightly either towards the right or the left. This happens due to the physical and magnetic properties of the Rudraksha beads. This test requires a high level of expertise and the buyer generally buys the bead that rotates towards right. The Mukhis of a natural Rudraksha look like closed lips with deep natural partitions. Sometimes Rudraksha are faked by sticking thorny parts of one Rudraksh onto another one. This difference could be caught by a 10x lens. However, none of these tests are full proof. The best way to buy an expensive rudraksha is by taking an Xray or by CT scan of that rudraksha gives 100% accurate results but it is much expensive. But it is suggested that buy Rudraksha from a trusted authorized supplier. One way is to follow the X-ray technique one can see the internal structure without damaging the beads. This digital X-ray test is done for the internal structure of upto Nine Mukhi Rudrakshas but higher mukhi beads may not give 100% accurate results due to overlapping of the internal seeds. CT scanning is another method for identification of rudraksha but it is more expensive than X-ray. It gives much clear results for any rudraksha than X-ray. CT Scanning and X-ray are expensive methods to identify the rudraksha but gives clear and accurate results. 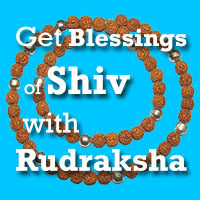 Rudraksha are available from 2 Mukhi till 29 Mukhis. The five faced Rudraksha are found easily and abundantly. One faced Rudraksha round variety has never been found till date and is thus a myth. A variety of Rudraksha called 1 mukhi half moon is thus sold in its place which is genuine and belongs to a family tree of Rudraksha. This bead is found easily and price is also not high. However there are suppliers who sell this half moon variety also at exorbitant prices taking advantage of the rarity of round 1 Mukhi Rudraksha. Round 1 Mukhi Rudraksha however is the most highly sold bead and is faked in many forms by unscrupulous suppliers. Many of these beads are made from berries and betel nuts and Areca nuts. Some have a stem implanted in them artificially to give a real look. Also some suppliers sell fake 1 Mukhis which have Serpent, Trishul, Lingam etc carved on them. A real Rudraksha does not have these markings. Rudraksha having 2,3,4,6 and 7 faces are found abundantly and hence their prices are not high. Fake Rudraksha are made by carving extra lines in these lower Mukhi beads to obtain the rare and higher priced higher Mukhi beads. Original Rudraksha will have a magnetic field around it. This character can be used to find out a Real one. Place Rudraksha between two copper coins. Rudraksha rotates itself. Place Rudraksha on the coin vertically with it’s poles facing up and down. Bring the second copper coin slowly, so that you can see the movement. Rudraksha must rotate in Clockwise direction (Pradakshina). There will be some Rudrakshas which rotate Anti-clockwise (Apradakshina). But never take them. They are also Rudrakshas but with Negative energy due to improper care buy the seller. Real Rudraksha will sink in water or milk. Rudraksha beads from unripe fruits will also float on water. But they are useless. It is a simple test which explains an important property of Rudraksha. 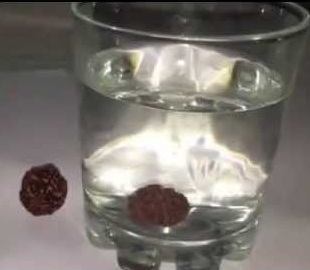 Place Rudraksha in a glass with small amount of water (just enough to cover Rudraksha). Record temperature by using a Thermometer. Record the temperature after 30 minutes. You can observe 1 or 2 degrees centigrade rise of temperature. 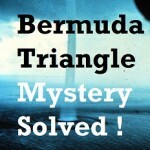 It is a time consuming test. But, it shows the superiority of Ek mukhi Rudraksha over all remaining Rudrakshas. Place Rudraksha in a glass of fresh milk. Check after 2 days. The milk will not spoil. Some high quality Rudrakshas can protect milk for upto 3 days. Ek mukhi Rudraksha can keep milk fresh for 5 to 7 days. Tantrics and Yogis can identify the Power of Rudrakshas by keeping Rudraksha in their fist and observing pulse (Nadi spandana) . That is impossible for normal persons. But, we can use above simple tests to find out Original Rudraksha. 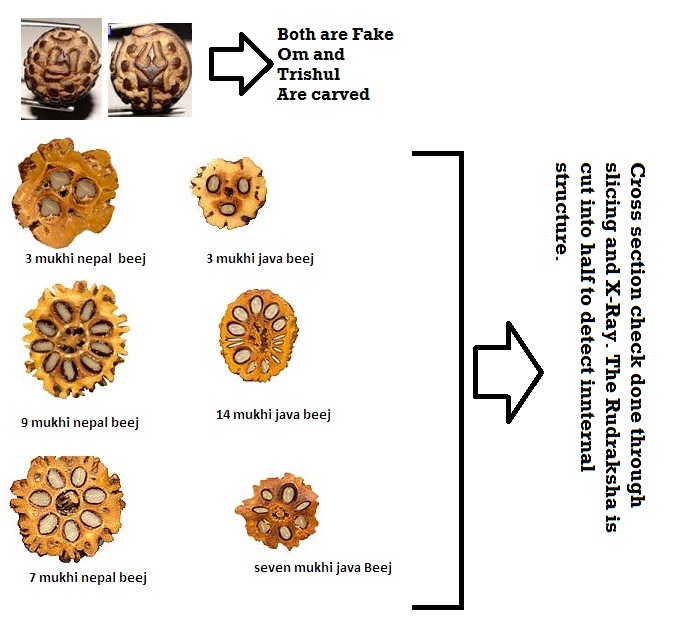 If you know a Pandit or Jyotishi who is expert in observing and identifying original Rudraksha among fake types then you should avail their services. Before wearing Rudraksha it should be fully energized (siddh). Remember you should be very clean and pious when you become Rudraksha Dharak. Yes this is true for Ganesh Rudraksha too, you have to chant Ganesh Beej Mantra.